Whether you are looking to sell or just add some va-va voom to your homes curb appeal, these eight tips will have you on your way to the best looking house on the block. Exterior home improvements are said to be the most valuable improvements a homeowner can do, because others will judge the inside of your house, based on the outside. So if you are ready to upgrade your home, try adding a dash curb appeal! Wash Up the Face – Simply using soap and water to clean siding, the garage door and windows can remove dust and mildew that has built up and made your house look dingy. Realtors estimate washing the outside face of your house can add $10,000 to $15,000 to the sale price of a house. Add Fresh Paint – The most common way to spruce up curb appeal is a fresh coat of paint on the exterior of your house. Fresh paint will always catch a buyer’s eye and will be an investment in the value of your home and seen in the appraisal on the market. Access your Roof – The roof is one of the first things noticed about a house. The condition and newness is one of the biggest value adders to a home. Accessing those around you is also important. If your neighbors or surrounding houses have recently replaced their roofs, yours will look older and faded in comparison. Replacing your roof is a large, expensive task. If you are looking for an alternative, hiring a professional to clean your shingles can bring a tired roof back to life. Tidy the Yard – A well maintained landscape is one of the easiest things to add to your homes curb appeal. Fresh mulch, manicured shrubs and potted flowers instantly add a boost to the appearance of the house. However, don’t forget the lawn, managing the grass by mowing and covering bare spots is also vital to the appearance of your landscape. Pop of Color – Adding accent colors to the appearance of your house is an instant attention grabber. Whether it’s in flowers or a bright bench on the porch, these details show personality and enhance the appearance of the house, making it pleasing to those passing by. Set the Tone with an Entry Door – One way to really stand out among the neighboring houses, is a beautiful entry door that pulls together the architecture and overall appearance of the house. An entry door that compliments the home not only looks beautiful from far away, but it’s also more welcoming when guests come over. Glam your Mailbox – Choosing a sleek upscale mailbox will give your home an updated look with high-style detailing. This is a simple task you can complete on your own and will completely update your curb appeal, especially among the neighbors. Make a Statement with Your Garage Door – A modern garage door will allow you to create a statement about the style of your house. Choose a sleek panelled door or wooden carriage doors to create the vibe you’re looking for, and buyers will notice. 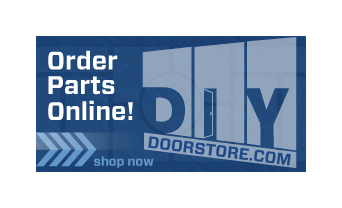 The right garage door can tie the look of a house together and add value to the selling price. 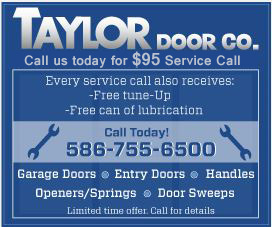 If you are looking to add these improvements to your home, shop Taylor Door Co. today and find a selection of entry and garage doors that will add the curb appeal you’ve been looking for!